So I came across this makeup line at Sally’s the other day and decided to grab a few things to try while they were having a bogo sale. 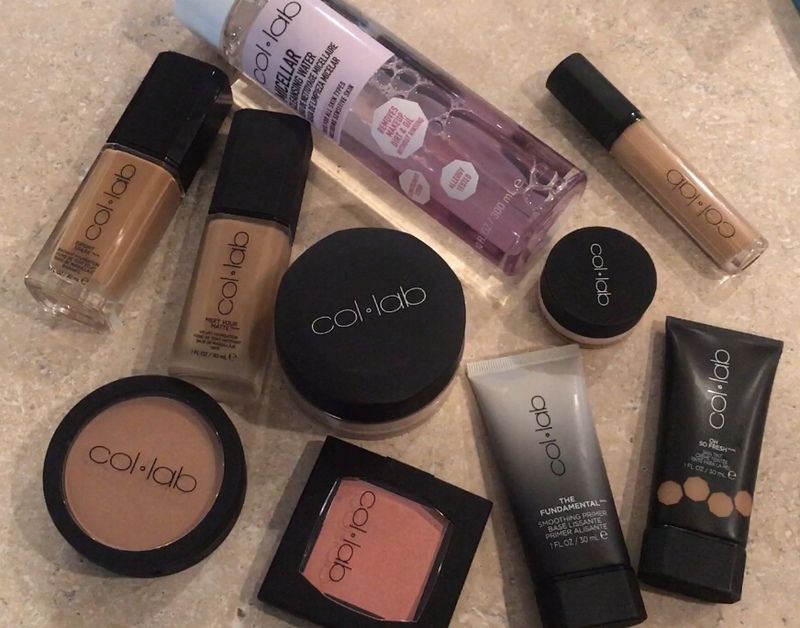 I love trying new affordable products because if they work well then I’ve found new staple products to reach for in my makeup routine. 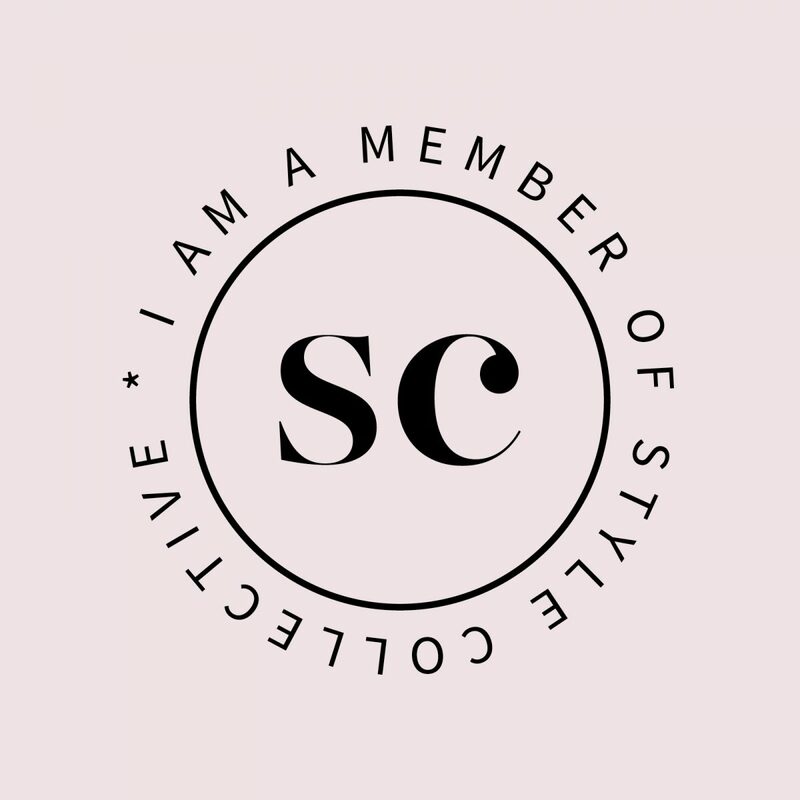 I purchased the skin tint, matte foundation and radiant foundation to give those a try as well as the loose powder, pressed powder, a blush, the smoothing primer, micellar water, concealer and a color corrector. Something I first noticed is that this line is not very shade inclusive. 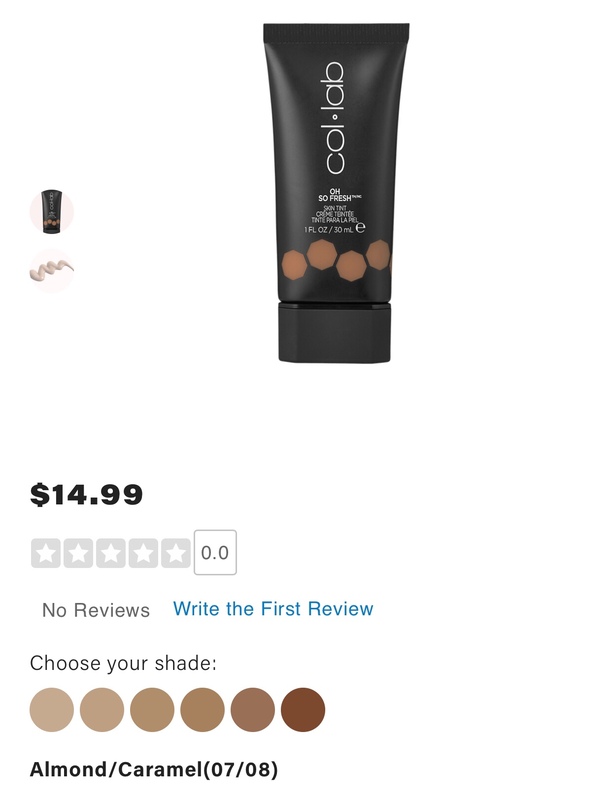 There’s only 6 shades in the skin tint and 10 shades in the foundations so the most porcelain skin and the darker skin tones are left out completely. I’m the eighth darkest shade (caramel) in the foundation and the fifth shade in the skin tint. So a lot of skin tones are left out. 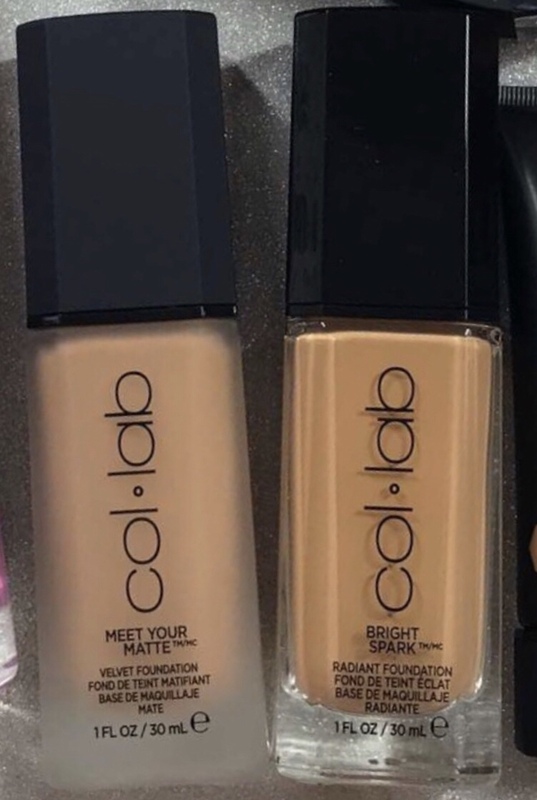 Both the foundation and skin tint are $14.99 each. The packaging is nice. Sleek black and greys. The jars are glass. 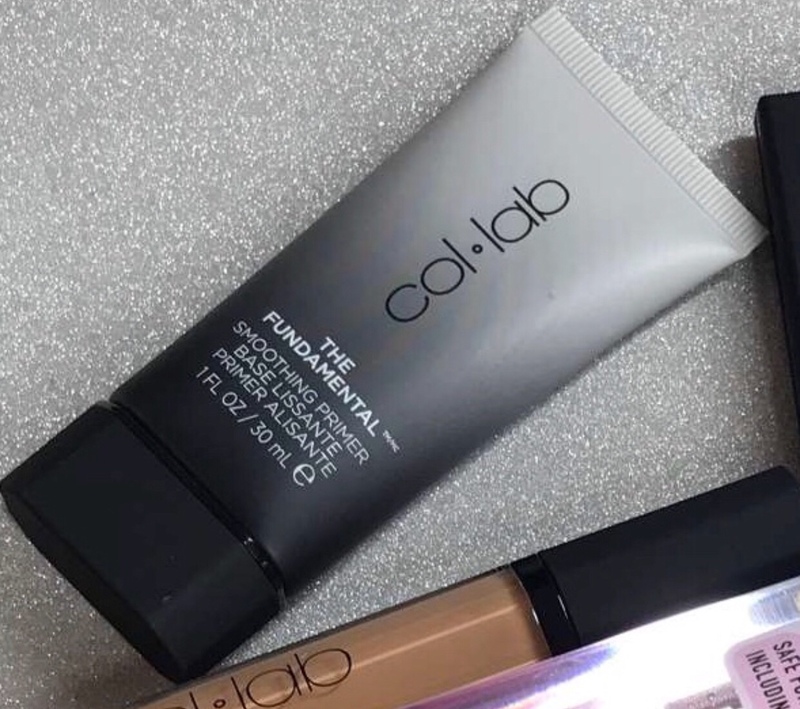 Clean fonts and the foundations come with a pump and the skin tints are in a squeeze tube. 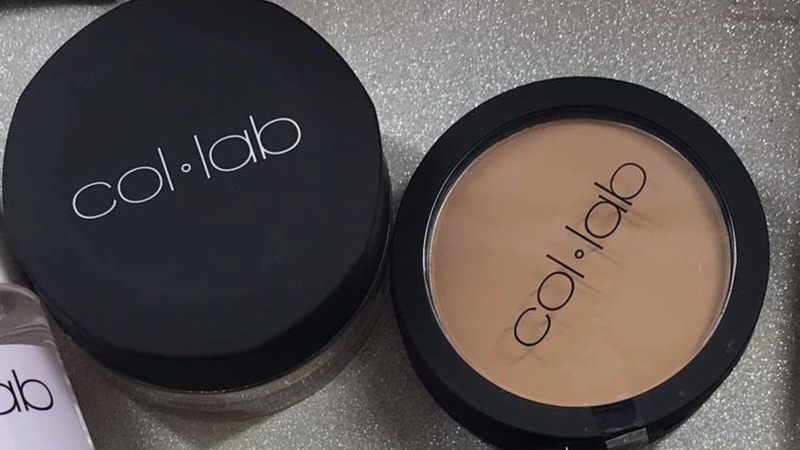 The concealer has a doe foot applicator and the color corrector comes in a jar. So it makes application for those easy and you save product. I wanted to try the line together because sometimes products work better with their own. 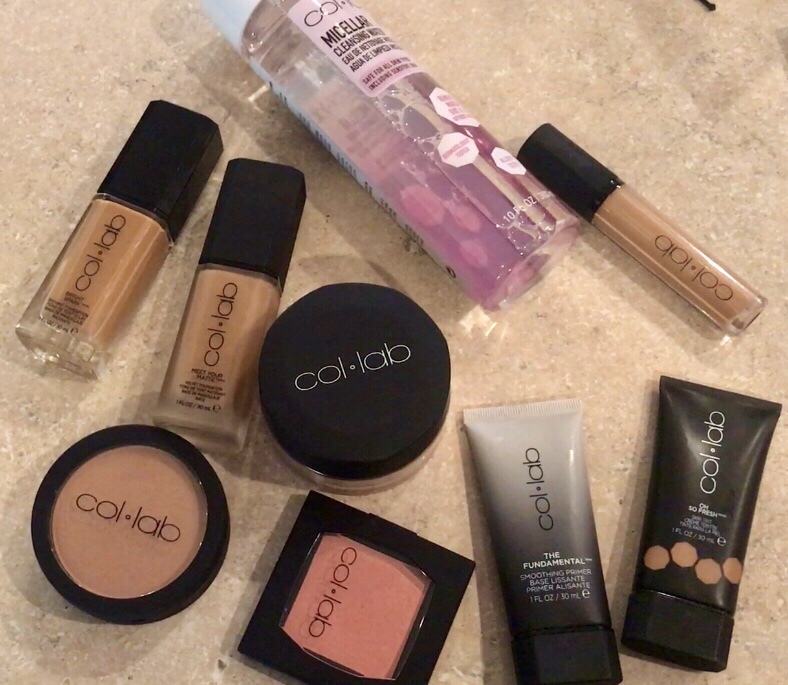 First up I tried the smoothing primer, skin tint, concealer, blush and pressed powder together. I didn’t use anything else aside from my tarts blush in feisty and my wet n wild highlighting gold bar and I set my face with my Morphe Continuous setting mist. 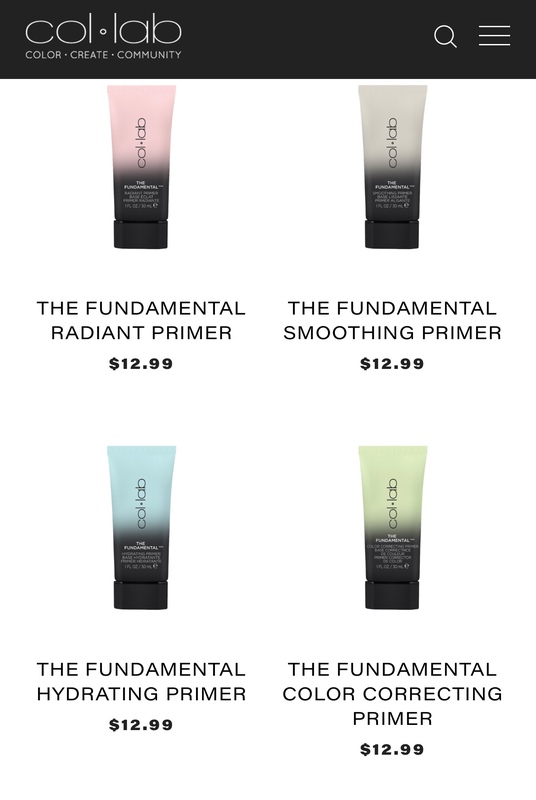 The primer went on like a lotion for the most part. It felt kind of moisturizing for a minute. The skin tint was actually thicker than I thought it would be for it to have been a tint but it gave pretty good coverage. The concealer didn’t have as much coverage as I thought it would so it’s not something I would reach for on a daily basis. The pressed powder was ok. It seemed to set the face for the most part. The blush showed up on me more like a highlight than a blush which is why I added my tarte blush to it. I didn’t contour because I wanted a quick face. I noticed it quickly set into any fine lines I had even after setting with powder. I wore it for a full day of errands, etc. within about an hour I was oily so I was already not too happy with that. I blotted my face and went on with the day. About another hour or so I was oily again. A few hours after that I noticed the skin tint had oxidized. So about 5 hours into wearing it, it had oxidized terribly and had a grayish tint now and I was still oily. I couldn’t wait to get home and take it off. My face felt dirty and itchy and I didn’t like the ashy tint it developed. The next day I tried a different combo. 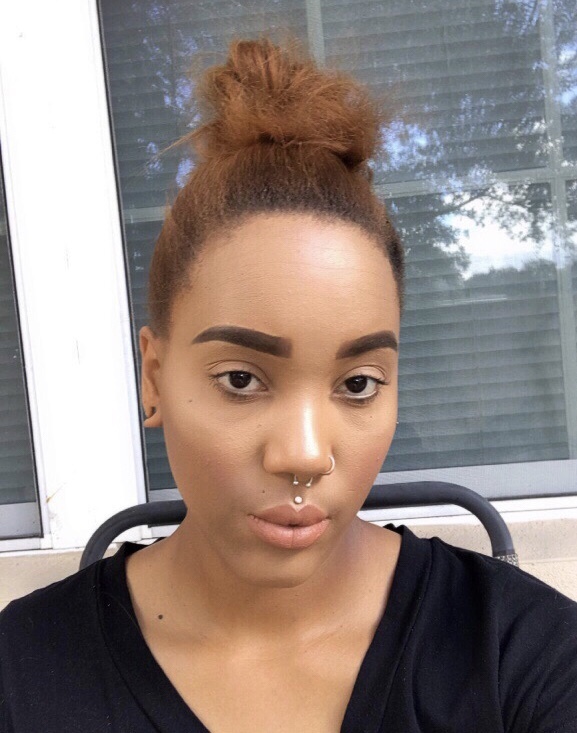 I used the primer, matte foundation, color corrector, concealer and loose powder. I used my airspun for under my eyes and my tarte blush again, my wet n wild rainbow highlight and contoured with my nyx bronzer. I set my face with my Morphe continuous setting mist. This time the foundation didn’t oxidize as much as the skin tint did but I was oily within an hour. For a matte foundation I expected more oil control than what I got. The foundation never set on my face once applied at all. It never set to a matte finish it was dewy. It only set once I applied powder. I had to blot my face multiple times throughout an 8 hr wear which I don’t have to do until end of day with most of my matte foundations. So I wasn’t impressed with the matte foundation at all. I didn’t try the radiant foundation alone. I figured since the matte foundation by itself was a bust then I wasn’t even going to attempt it. 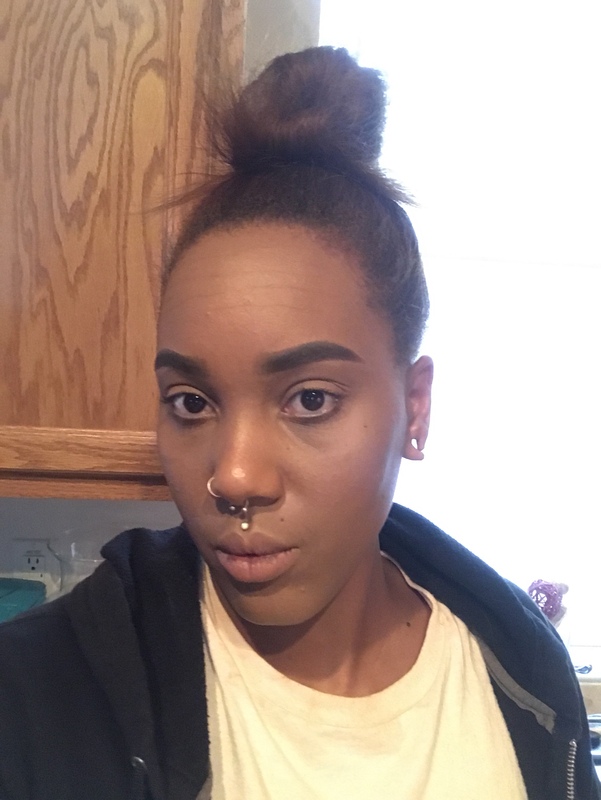 I instead mixed the radiant foundation with my too faced born this way foundation and did my makeup with the different products that I use on the daily. I wore this combo for about 8 hrs or so and when I got home from work my face was oily but not as bad as it was with the matte foundation by itself. It still settled into some of my lines fairly quickly but it wasn’t as terribly noticeable as the skin tint or the matte foundation. 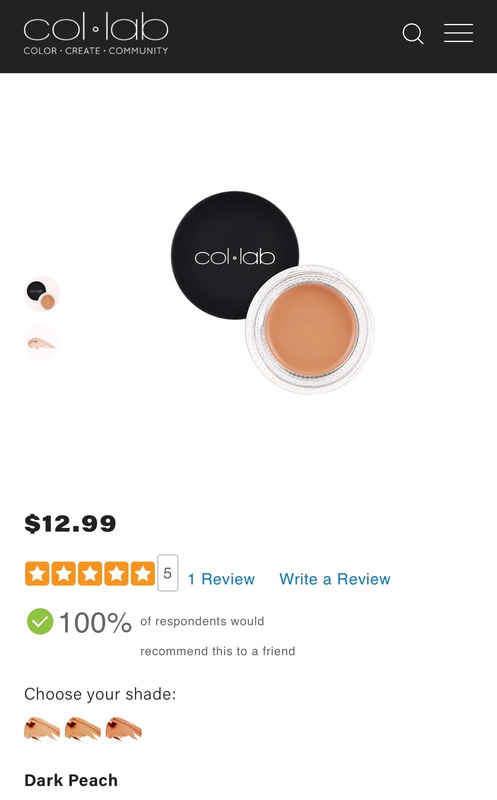 So I will say that mixed with another foundation that already works for my skin this foundation is a bit better but it’s still not something I would reach for on the daily. Especially since I have to mix it with another foundation just to get it to set decently on my face for the day. I may try mixing the matte foundation as well to see how I like that and if it will set better on my face but idk yet. The powder both pressed and loose didn’t really do well to keep my makeup set and help keep oiliness down. It goes on fine but the lasting power just isn’t there. 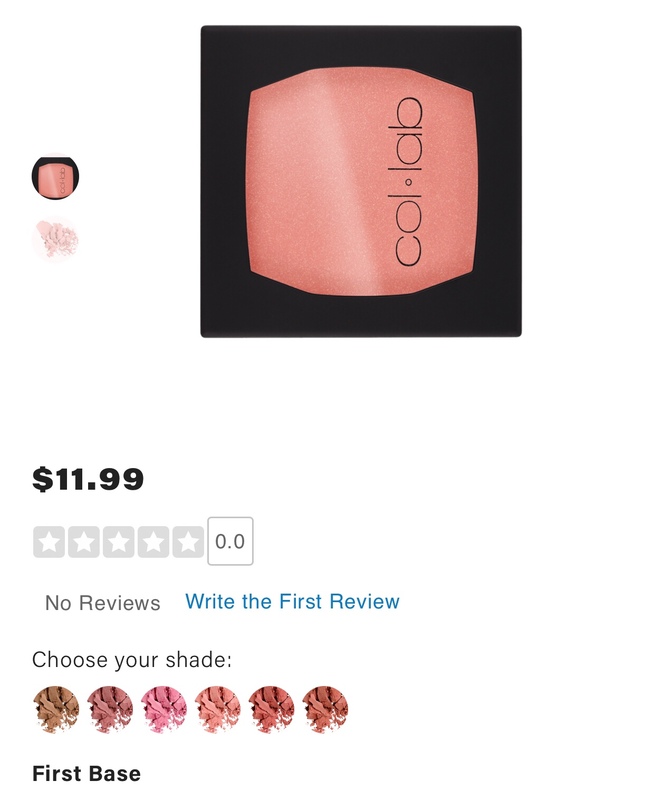 The blush I wasn’t too happy with, it was way too shimmery and seemed to be more of a highlight rather than an actual blush unless you’re more fair skinned even though I got one of the darker shades. The primer to me didn’t really do anything nor did it blur any imperfections, it just goes on your face like a lotion and then sets but doesn’t keep your pores, imperfections or oiliness at bay for too long. I feel it may possibly work better on someone with dry to normal skin but for oily skin or combination skin it just wasn’t the best. The under eye concealer was one of the most disappointing for me. I got the darkest peach shade and it kind of just spread around on the face and didn’t really cover much. I used both a stippling brush and concealer brush and then I tried a beauty blender but nothing seems to smooth it out any better. I like my under eye concealer to work really well especially on days that I am sick or my under eyes are especially dark but this just missed the mark completely. 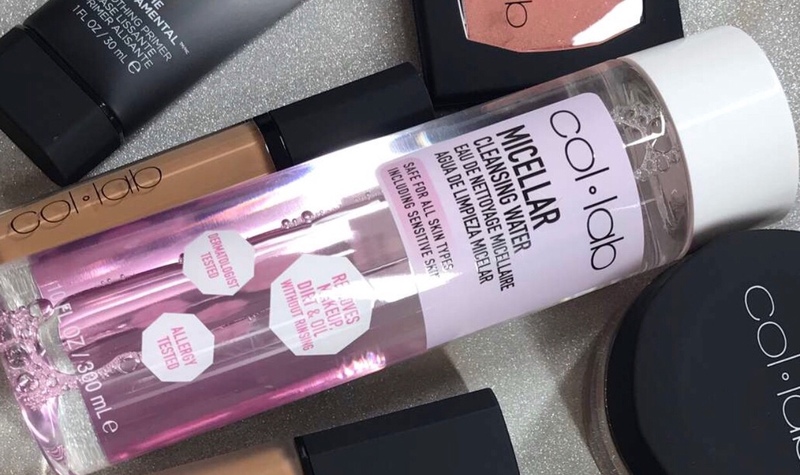 I never actually tried the micellar water so it may have worked fine with removing makeup but once I had tried pretty much all the products (except the radiant foundation) I had purchased and wasn’t happy with any of those I just decided to take everything back. It’s $9.99 but for that price I can just stick with my ganier micellar water for $7. All in all I just feel like this line is kind of a starter line for younger people who are just starting out in makeup. Something to practice with or if they don’t really have any skin issues this line may work for them. I have more mature skin (I’m 32), I have naturally darker undereye circles and a few acne scars. I like a good full coverage foundation unless I’m using a BB cream for a quick face. I have combination/oily skin so a matte foundation is usually what I reach for. I took most of the line back with the exception of the 2 foundations because I couldn’t find the receipt and just replaced those with things I actually use and like. Hopefully in the future they do better with formulas and especially the shade ranges. 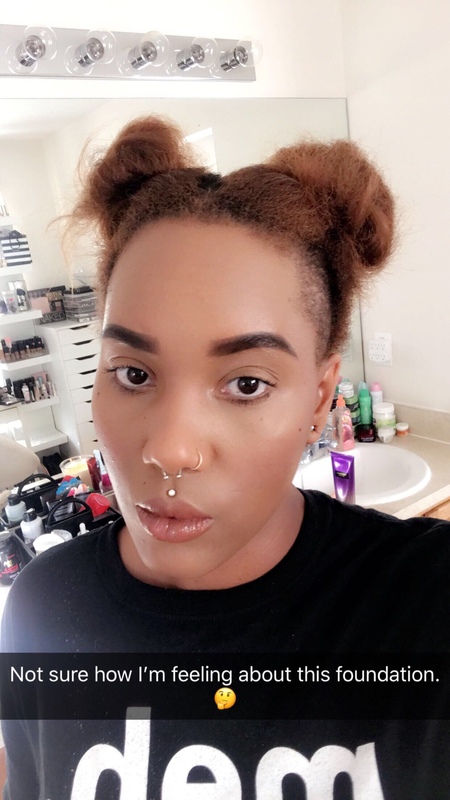 A successful makeup line needs to be shade and skin inclusive to reach a broader audience. Did you try any of the products in this line? What did you like? What didn’t you like? What do you feel the company can do better with in the future? Be sure to follow me on Snapchat @lolanicolemua for more makeup reviews and mini tutorial videos as well. I hope you beauties have a blessed day.